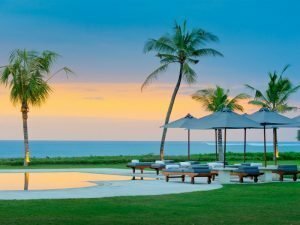 Surfing in Sri Lanka – Best beach Villas in Sri Lanka for surfing lovers. Our selection of best beach villas in Sri Lanka for surfers. Sri Lanka has recently become an increasingly popular destination for those who love surfing. 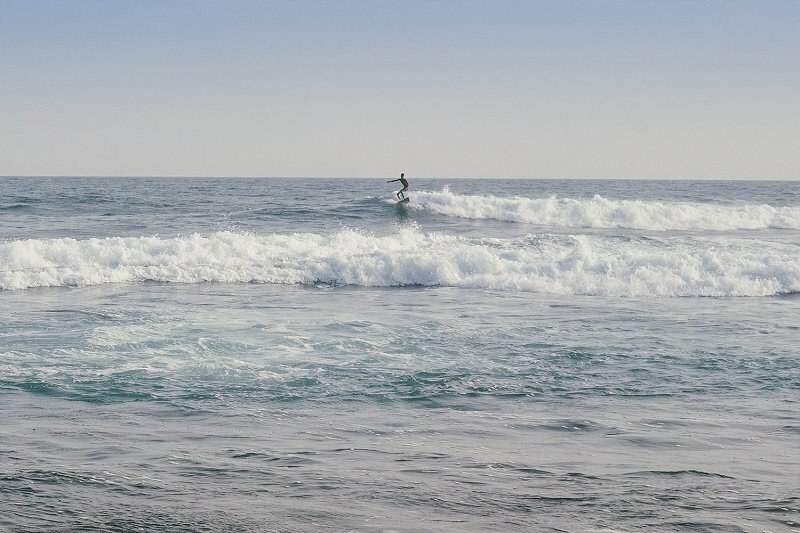 The waves in Sri Lanka are appealing for the more experienced surfers, but you can also find great spots if you are relatively new to the sport. 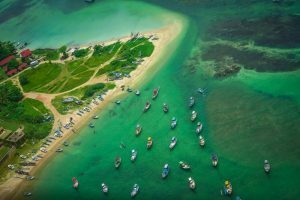 Whether you are a professional surfer, hitting the internationally-recognised waves of Arugam Bay, or you are an intermediate or beginner who is looking for some fun and a bit of a workout, Sri Lanka is the perfect destination for enjoying the surf whatever the time of year, due to its warm tropical waters. Another great advantage of this island is that it has two main seasons and you can surf almost all year round: from December to April try the golden, palm-fringed beaches of the South Coast of Sri Lanka, while from June to late September you can discover great surf location such as Arugam Bay, the Pottuvil Point and Whisky Point. 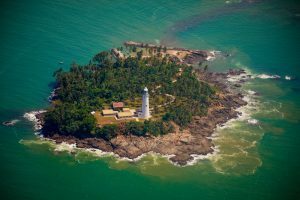 These are all located on the Eastern Coast of Sri Lanka, near the Pottuvil/Arugam Bay area. What are the best beaches to practise surfing in Sri Lanka? On the wild East Coast of Sri Lanka, try Arugam Bay, a point-break beach, ideal for all surfers, or Whisky Point, famous for beginners who are looking for some fun. Elephant Rock and Peanut Farm are two other great surfing spots south of Arugam Bay. Pottuvil Point, north of Arugam Bay town, offers fantastic surfing for the more experienced surfers. Arugam Bay has a wide variety of accommodation on offer and several villas. Also, Arugam Bay has a wide choice of surfing schools and surf board rental services. The South Coast has the best beaches for surfing in Sri Lanka during this period of the year. 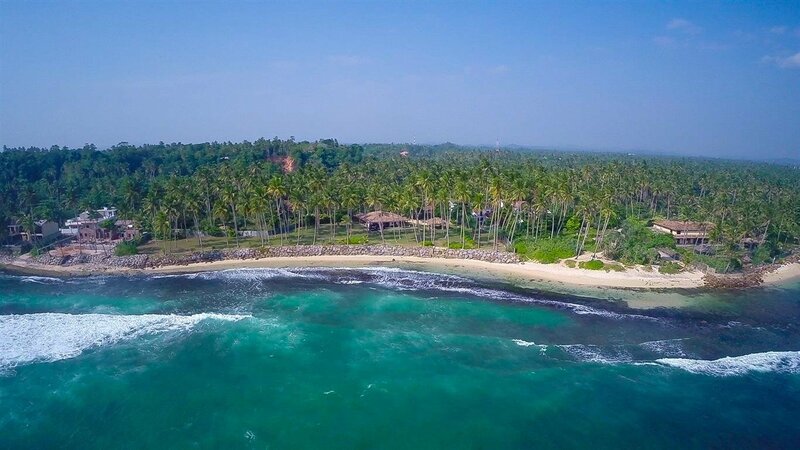 Hikkaduwa, north of Galle, is the closest surfing spot to the airport, with great waves for the experienced surfers, while the beaches from Mirissa to Dikwella and Tangalle have some beautiful surfing spots that range from beginner to very pro levels. Best beach Villas for surfing lovers. 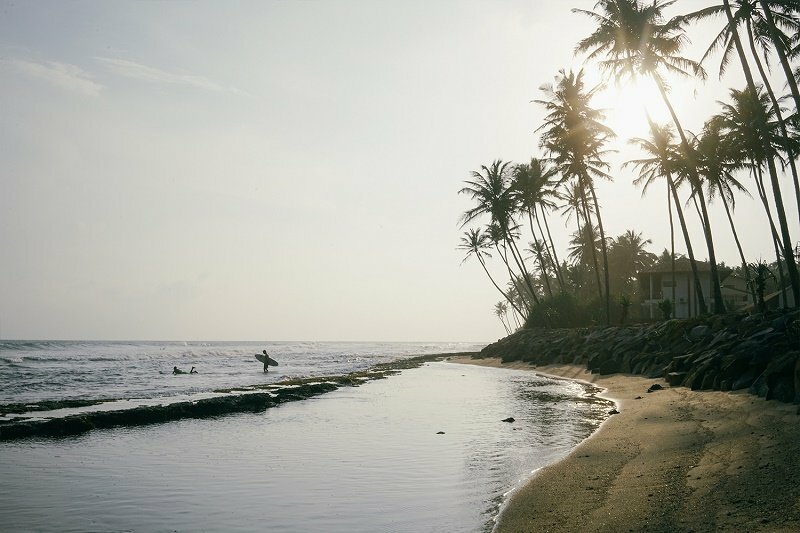 In this article, we are giving you our personalised selection of the best beach Villas in Sri Lanka for surfing lovers. These villas are located in front or just walking distance from great surfing spots along the south coast of Sri Lanka. This beautiful, 5-bedroom beachfront house is a surfers-friendly villa, a real paradise for surfers of all levels. 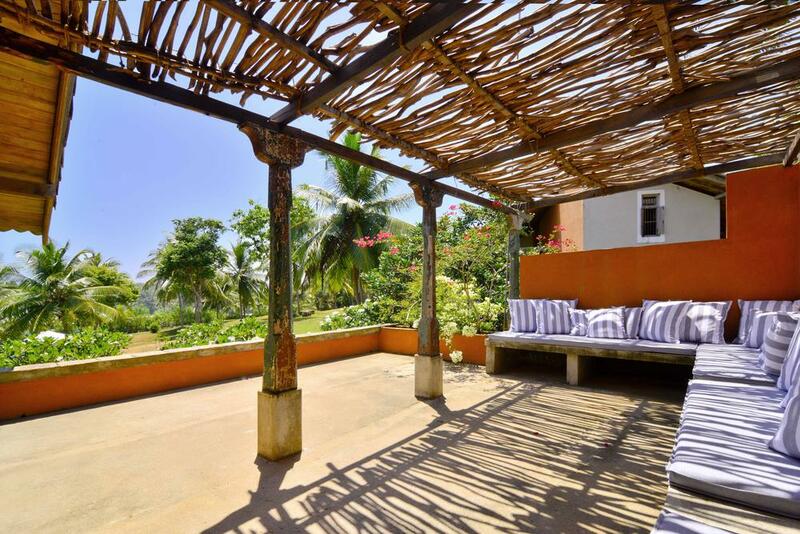 The Villa is conveniently located walking distance to Madiha beach, a great place for experienced surfers. The Villa has a beautiful rocky surfing beach in front of the property, appointed as a main surfing point by the surfers. 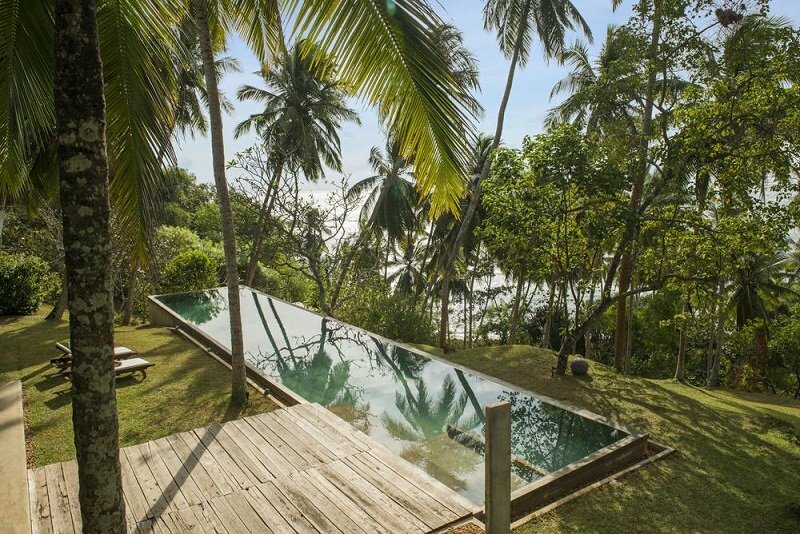 Villa 6 in Tangalle | A 3-bedroom, eco-designed contemporary Villa with private steps to a secret beach. This luxury, eco-designed villa in Tangalle has three double-bedrooms and is a perfect hideaway for people who are looking for a luxury escape near some good surfing spots. Unakuruwa Beach, a quiet uncrowded bay, is about a 10-minute walk away. Unakuruwa is a small surfing bay: it is located a few minutes south of Tangalle Beach. There is also a small surfing community with a shop that rents boards and a restaurant. Alternatively, Hiriketiya Beach is located a 15-minute tuk tuk ride from the Villa. 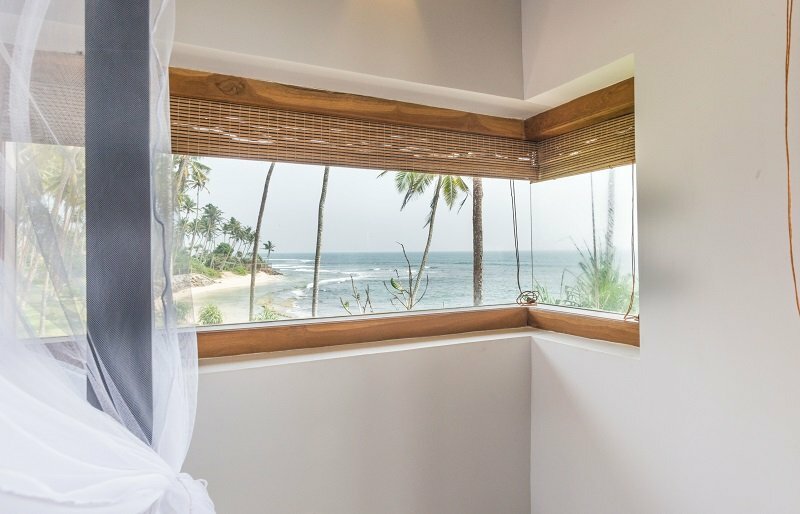 These two sister villas are located a few minutes from the main beach of Mirissa, where you can find good surf breaks for beginners and intermediate levels. If you surf like a pro, the villas are conveniently located a short stroll away from Madiha Beach, though the front of the property, a surfing point, is also considered to be one of the best hidden surf points in Sri Lanka. 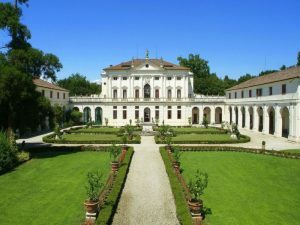 The villa management can help you organise lessons and surfboard hire on your behalf. This amazing 4-bedroom villa in Dikwella is located in one of the hippest surfing spots of Sri Lanka at the moment: Hiriketiya Beach. This beach is also listed as one of our favourite beaches in the South Coast of Sri Lanka for 2019. The beach is ideal for surfers of all levels and recently new small cafes, surfing schools and surfboard hire shops are available on this tranquil fishermen beach. Villa 21 is also one of our most popular villas and gets booked very early. If you are interested in booking, we recommend you do it as soon as possible and at least one year in advance for Peak Season! 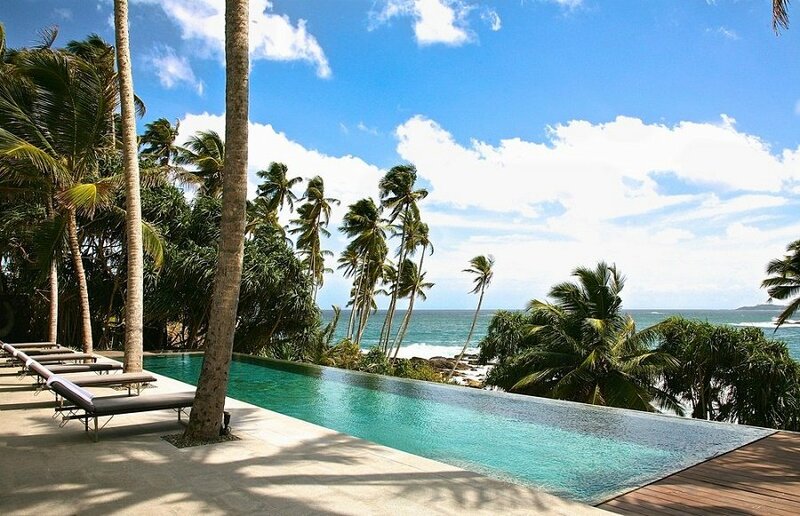 Situated between the popular towns and beaches of Unawatuna and Mirissa, the heart of Sri Lanka’s surfing scene, this 5-bedroom luxury Villa in Ahangama is set back from a quiet white sandy beach with two surf breaks out the front and safe swimming areas. The little town of Ahangama is still a very unspoilt fishermen village, but boasts stunning and seasonally safe beaches as well as offering different surfing spots for all levels of surfers, with a growing surfing community. Recently, surfing competitions took place on this stretch of beach, making Ahangama an increasingly popular area to practise surfing. This stunning 3-bedroom villa with pool in Tangalle, Sri Lanka, is a great option if you want to surf in style on one of the calmest surfing bays in Sri Lanka. The beach is not ideal for swimming but has a reef break that attracts a few surfers. This beach also has a couple of cafes and restaurants and a surf board rental service, as well as a surfing school. This is also a very popular villa and we recommend booking well in advance, especially if you are travelling to Sri Lanka during Christmas, New Year or the Easter holidays. These lovely 3-bedroom and 4-bedroom villas are two neighbouring villas near Dikwella and located a short walk away from one of the most surfer-friendly beaches on the South Coast of Sri Lanka: Hiriketiya Beach. This beach is becoming increasingly popular among surfers of all levels in Sri Lanka. 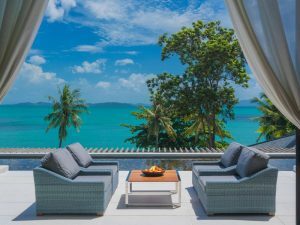 These two villas are completely independent villas and they accommodate up to 6 and 8 guests respectively. 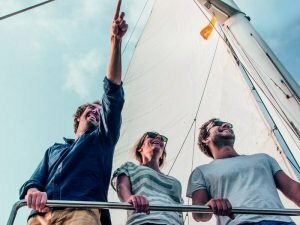 However, if you are travelling with a large group of friends and family of up to 14 guests, it is a good idea to rent them together. The surf breaks are just a 10-minute walk from the villas. These are only a few of the best beach villas in Sri Lanka for surfing lovers. However, Sri Lanka has many more options for your villa holiday if you are looking for good surfing spots. For a full list of villas on the beach or a few minutes from the beach near surf breaks, see our tailor-made selection or contact us for more information.